The hypothalamus is a small structure that plays a role in controlling behaviors such as eating, sexual behavior, and sleeping. 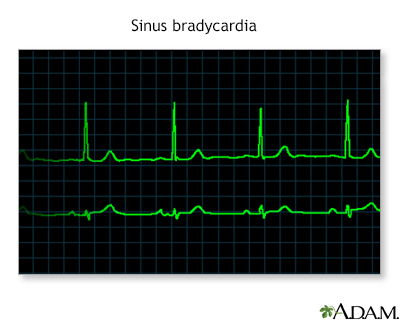 It regulates body temperature, hunger and thirst, and secretion of hormones. 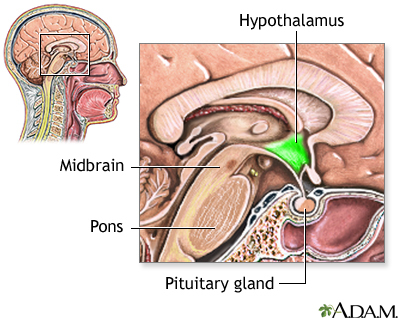 The pituitary gland is involved in controlling thyroid functions, the adrenal glands, growth, and sexual maturation. This small almond-shaped structure lies deep in the brain and is associated with regulation and control of major emotional activities including anxiety, depression, aggression, and affection. Perfectionists are often very inflexible and rigid in their thinking, and want to control their environment. They strive to be perfect in all of their accomplishments, and regard falling short in their goals as a sign of personal failure. As manifested in anorexia, perfectionists starve themselves to achieve an unattainable goal of physical perfection. They consider weight loss, even if it is dangerous, as an achievement of self-control. Impulsivity is linked to novelty-seeking behavior, people who seek new sensations and stimulations. Impulsive individuals often engage in risky behavior and have an increased risk for abusing alcohol and other drugs. Binge eating is included in the diagnosis for borderline personality disorder, a mental health condition associated with self-destructive and impulsive behaviors. because you feel uncomfortably full? over how much you eat? stone's worth of weight (14 lbs or 6 kg) in a 3-month period? when others say you are too thin? Reviewed By: Timothy Rogge, MD, Medical Director, Family Medical Psychiatry Center, Kirkland, WA. Also reviewed by David Zieve, MD, MHA, Medical Director, Brenda Conaway, Editorial Director, and the A.D.A.M. Editorial team. 02-05-18: Editorial Update.